I am documenting the Washington, DC mayoral campaign for NewsPlus The weekly local news magazine show I produce for WDCW-TV. 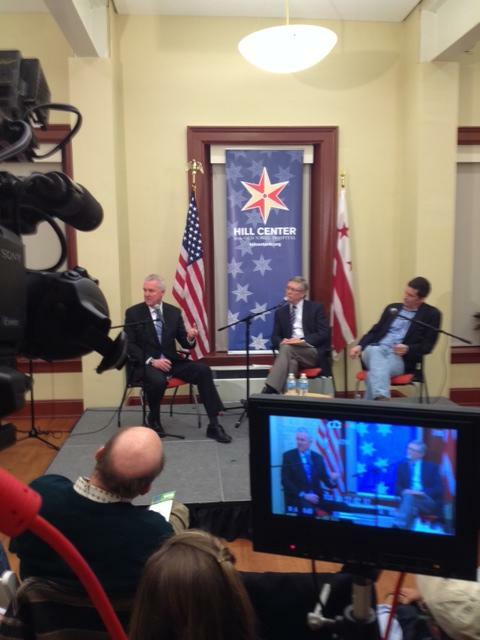 Tonight I went to the Hill Center to document a fire side chat with Tommy Wells. Tom Sizemore of NBC4 and Mark Segraves asked the questions to get acquainted with the candidate. Tommy Wells and I recently reconnected after 30 years after I discovered we were friends at the University of Ala where we both went to school.